On January 17th, the Construction Alumni Group hosted the inaugural event its Distinguished Industry Leader Speaker Series. 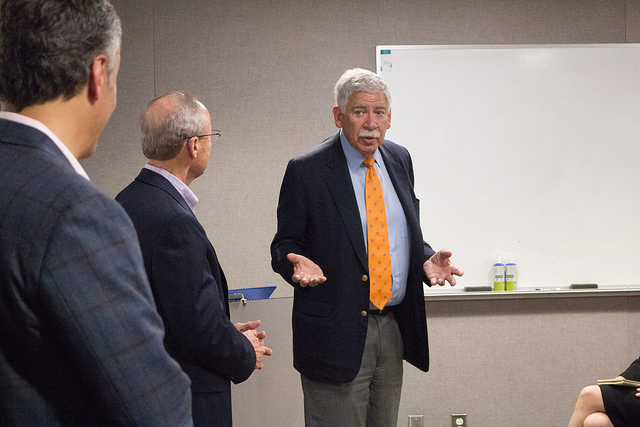 This event featured speaker Bob Card of The Card Group who participated in a lively discussion on leadership and ethics as facilitated by Philip Stassi, recently retired President of Jacobs Global Buildings and Infrastructure. 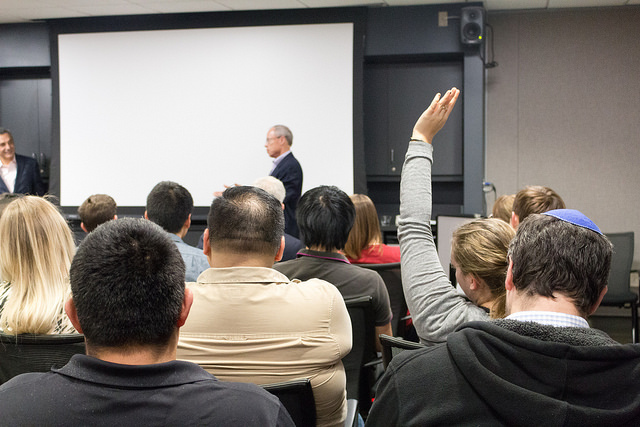 This interactive event was well subscribed to by both student and industry members alike. We'd love to hear your thoughts on this event! Please take a minute and participate in our short survey. On March 8th, the USC Construction Alumni Group hosted its second Distinguished Industry Leader event. 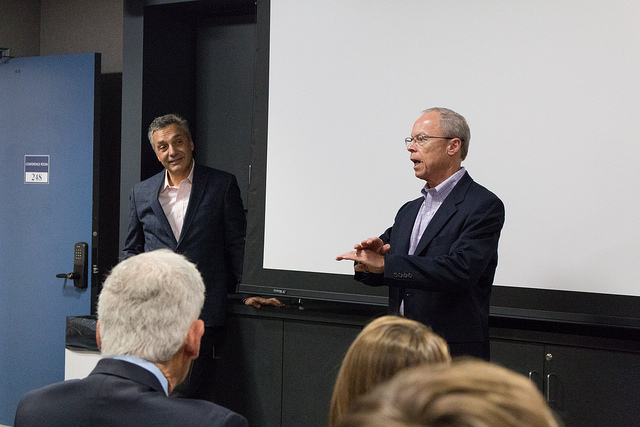 This event featured Peter Davoren of Tuner Construction Company and Bob Pragada of Jacobs Engineering Group. 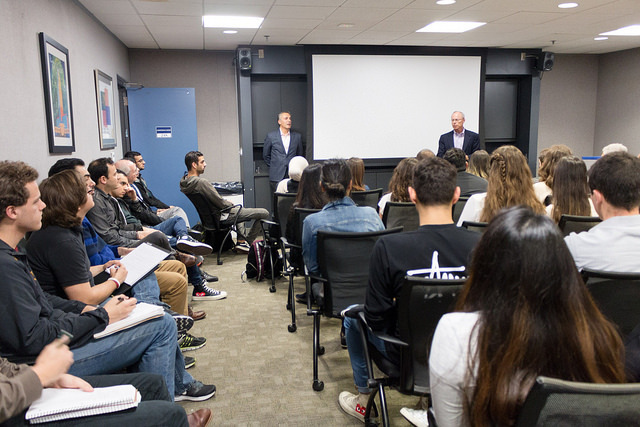 Along with the help of Philip Stassi, our speakers discussed current industry trends that was well subscribed to by both students and industry professionals. On December 4th, the USC Construction Alumni Group visited the Los Angeles Memorial Coliseum for a presentation, job walk, and networking hour led by the Hathaway Dinwiddie-AECOM HUNT Construction project team. With an anticipated project completion date of fall 2019, the job walk gave the group a sneak peek into new amenities to improve the overall fan, student, and alumni experience.